First Time Buyer? Learn more! Fill out the form below to request your free brochures! Which brochure would you like? Thinking about installing a new pool? 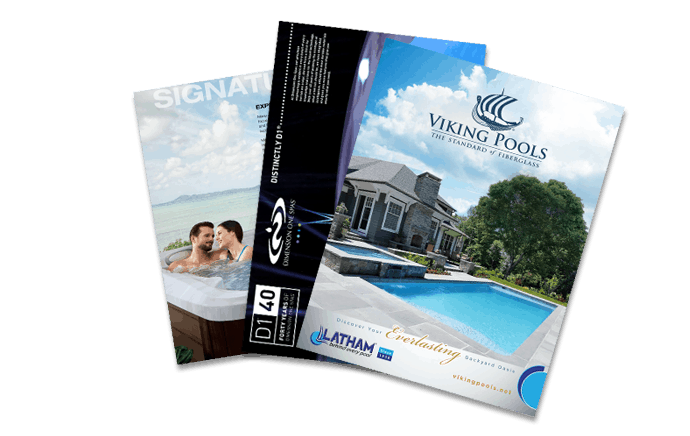 Aqua Pools is a Latham Pools Dealer that offers Viking Fiberglass Pools, Fort Wayne Steel and Fort Wayne Elite Polymer. Do you have custom pool design you want to add to your backyard? Reach out to Aqua Pools today! We have over 40 years of experience installing custom in-ground swimming pools and unmatched customer service. Click here to claim your FREE brochures! Get your free brochures today!